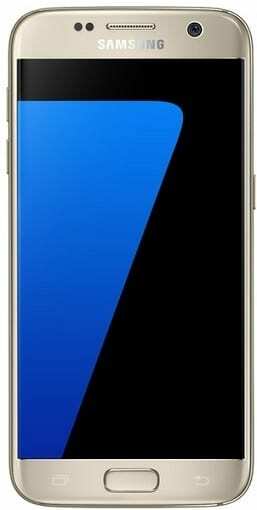 Samsung has at last unveiled 2016 flagship smartphone, the Galaxy S7, along with its Edge variant. The Samsung Galaxy S7 still retains same premium look sported on the Galaxy S6. The latest Samsung flagship comes with some features which was not included on its predecessor, this include water and dust proof design, memory card slot. The Samsung Galaxy S7 parade a pleasant design. It is 142.4 millimetres long, 69.6 millimetres wide and has a thickness of about 7.9 millimetres and weighs 152 g (5.36 oz) but does not show off any rounded corners as sported on its big brother S7 Edge. The phone is designed in a way to resist dust and also stand water from entering the device when dipped into it for up to 10 min. These features are not present on Samsung’s previous flagship. Samsung thought it well to leave the screen unchanged as it was on the Galaxy S6. Galaxy S7 has slightly-rounded corners and the display is protected on the front with Corning Gorilla Glass 4. The Super AMOLED display on the Galaxy S7 measures 5.1 inches and has an HD resolution, which most likely is 1440 x 2560 pixels with a pixel density of 577 ppi. For the camera, Samsung provided a 12MP rear camera which is lower than ones seen on the S6. Samsung says the new camera can focus up to three times faster thanks to its dual-pixel system that allows every single one of the 12 million pixels to act as focus pixels, similar to the system Canon uses in some of its DSLR cameras. The super-fast snapper can be quickly launched by double-tapping the Home button. There is also a quality 5 megapixels front-facing camera. It also features a wide aperture of f/1.7. Shoot in the dark and own the night with larger pixels that capture more light for brighter photos. The new Dual Pixel technology allows great low-light photography and blazing fast auto-focus. The S7 comes with an internal storage capacity of either 32 GB or 64 GB, which is interestingly expandable this time by up to 200 GB using a microSD card. The Samsung Galaxy S7 is powered by latest Qualcomm Snapdragon 820 processor, but units for sale in some regions will be equipped with the in-house Exynos processors. The processor is aided with an ample 4 GB of RAM to give better performance and gaming experience. The phone boasts latest Android 6.0 Marshmallow operating system with Samsung’s TouchWiz skin on top. The smartphone is powered by a larger capacity 3,000mAh battery, compared to the 2,550mAh cell that came with its predecessor (Galaxy S6). Currently, the Samsung Galaxy S7 is not available in Nigeria. When fully available, you can buy the flagship smartphone from any leading online stores in the country. Samsung Galaxy S7 Price in Nigeria is expected to ranges from N200,000 to N250,000 depending on your location in the country.